This has been the longest week known to mankind, and that can only mean one thing. The weekend will zoom by like nobody's business. Why is that, anyway? This, my friends, is the question. Thank you all for your kind words about Phoebe. She was such a sweetie, and the sun room is already a bit less sunny in her absence. (That's where the bunny cages are.) Miss Isabella looks kind of sad now that her friend is gone, so I've been trying to give her some extra TLC. Issie came out and played the last two nights. Her favorite toy at the momen is an empty toilet paper tube that has been torn along the seams so that it spirals. She loves tossing it and batting it around with her nose. I finished knitting the pieces for Klaralund and wove in the ends for the two body pieces. I want to start (maybe finish!!) the seaming this weekend. I'm excited about having a new sweater for SAFF. This can only mean one thing--it's going to be hot at SAFF this year. You just wait and see. I found our Phoebe bunny dead in her cage this afternoon. Phoebe was getting on up there in age--6 or 7 years old, I think--so it wasn't a big surprise. She was rather lethargic last night and this morning when I checked on her. Last night, she didn't get up to eat her papaya tablets (she took them every day to help avoid wool block) and this morning, she didn't rouse up for her morning loving. 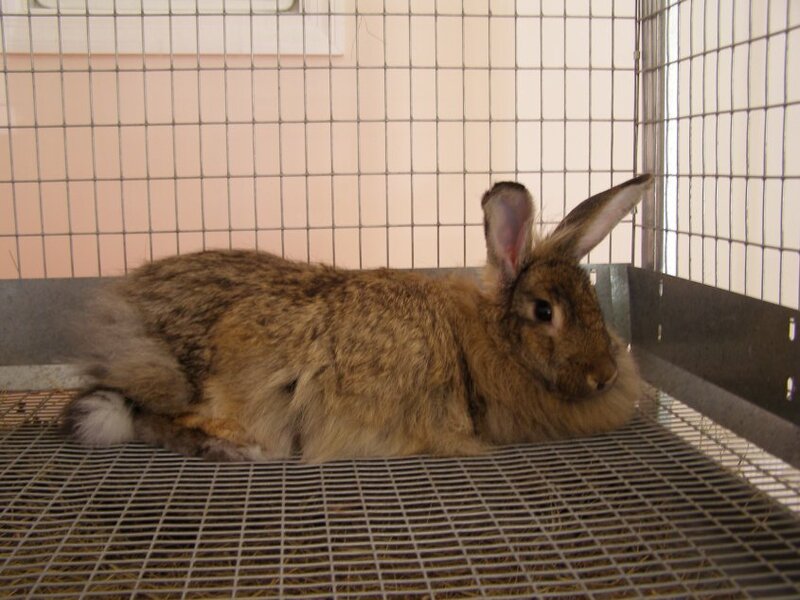 Phoebe had the softest coat and the silkiest, warm ears. She loved being held and petted. She was the sweetest bunny. Phoebe even behaved for grooming. She loved hay! We'd put a handful in her cage, and she'd toss it into the air until she buried herself in it. She enjoyed a good carrot every once in a while, too, and it was especially nice if you'd be so kind as to hold it for her while she ate. We will miss you, brown eyed bunny girl. It's Tuesday, and I'm feeling uninspired. That's been a trend lately, though. I think it's the new asthma/allergy medicine I'm taking. Doc says it's non-drowsy, but darned if I'm not sleepy all the time since I started taking it. I think I'll skip it today and see how I feel--just the allergy medicine. Breathing is a nice thing to do, and the asthma medicine helps with that. I finished the first sleeve for Klaralund last night and started the second one. Thank goodness I only need two! I'm hoping to finish that sleeve this week and move on to blocking and seaming this weekend. It's exciting to see the colors come out of the Silk Garden. This is not where I found the skin; husband moved it here when he got home yesterday afternoon. The top of the photo shows the area of the skin where the snake's head was, and the bottom of course is where the tail was. It's not a complete skin, because some of the tail area is missing. Maybe it didn't get shed at the same time as the rest. 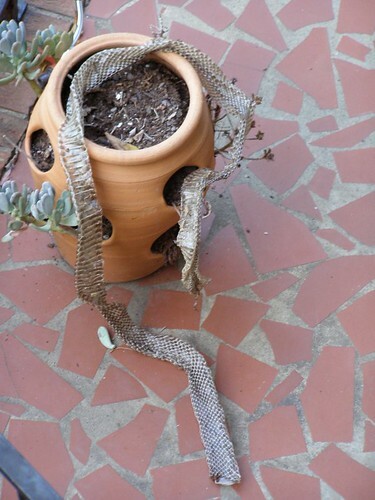 The skin is a good 5 feet long, and it looks like this snake is quite fat! We are hoping she/he is a male, because if its a female, we'll probably have little ones come the spring. Please note that I took this photo from the security of the deck using the zoom lense! Regardless of whether the skin contains a living snake or not, I don't want to get too close to it! Yep, I'm a coward. Mocha is an old man kitty, and he loves to be anywhere warm and snug. After he was removed from the bag of roving, he decided to have a lie down on the couch beside some balls of roving. I didn't get a photo of that. 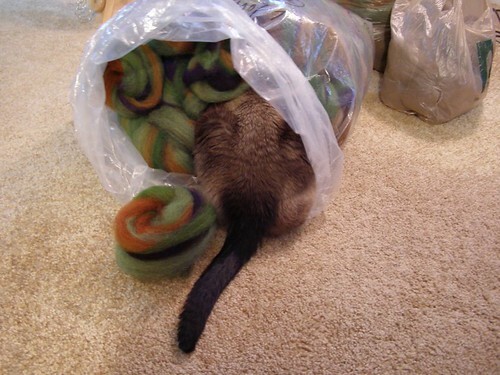 He was so cute padding the roving and then curling up beside it (not on it) to go to sleep. My KP Harmony needle tips came today! I almost knocked down the mail lady to get to the box. I've not knit anything on the new needles yet, but they've made a nice first impression. The colors are great--not as bright as on the KP website, but still very nice. The needles are silky smooth with nice pointed tips. I can't wait to cast on another project and take these babies for a spin. Bev, you commented about girls' soccer. My daughter isn't a soccer player, she's a cheerleader. We were out watching the varsity boys' team play earlier this week. Daughter tried soccer and volleyball in middle school, but they just weren't her thing. She enjoys cheering a whole lot more. I like it better, too, because they only cheer for home games! Less traveling for Mom. I got the Klaralund sleeves started last night but conked out and had to go to bed early. Maybe I'll be able to stay up past 10 PM tonight and get at least one sleeve done. I'm ready to start seaming this puppy--remind me I said that when I complain about seaming. I had a nice little visit with my doctor yesterday who confirmed what I've suspected for many years--I have asthma. He says it's seasonal asthma, and I now have two in halers and a tablet to take for it. One of the inhalers is a "rescue" medicine for if I have severe difficulty breathing. The other is for daily use just to calm down the symptoms when the asthma is flaring up. I do feel a lot better since I've started the meds, and no, it isn't placebo effect. I can actually take deeper breaths which is nice. We don't have big weekend plans here except daughter has Dance Club. It's a beach theme dance, and hopefully she won't have much trouble finding something to wear. I suggested a grass skirt and a lei (with a t-shirt, of course) but she quickly vetoed that idea. Ha ha! I have a whole lot of stuff to talk about today, very little of it related. First off, let me show you my really cool new bag. Isn't this great? I swapped yarn for this with someone from the Knitty board. The bag was too big for her, but it's just right for me. I think we both are pleased with our swap. Husband compares daughter and me to hermit crabs when it comes to bags. He says we move in and out of new bags the way hermit crabs move in and out of new shells. And that's a problem? I don't think so! 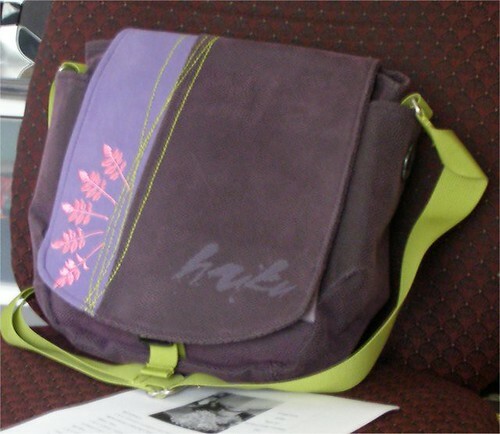 My bag is sitting on another of my addictions, this one a new addiction--the lace patterns of Herbert Niebling. I was able to find one pattern attributed to him as an on line freebie. I believe all of his work is now out of print, but you can occassionaly find magazines containing some of his patterns (many in German) at thrift stores, I'm told. I've also come across some books with interpretations of his work in English on the Lacis website thanks to husband's searching skills. These books are Knitted Lace Designs of the Modern Mode books 1 and 2. They are by Kazuko Ichida. The books are quite pricey, but I feel like they are going to need to join our library before too long. I am plugging away on my Klaralund and have managed to finish the front and the back. I will start the sleeves tonight. I was going to start them during a doctor's appointment this morning, but I wasn't awake enough for that. I'm not a morning person, and early appointments are tough. 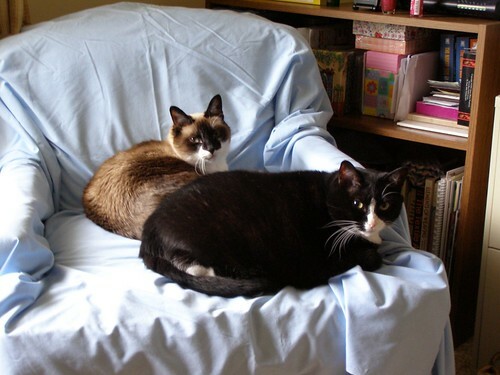 Remember my new Salvation Army Store chair? Well, the kitties love it. I have to fight them out of it. Take a look. As you can tell by the title of this post, I'm feeling particularly creative today. ha ha! Here's a progress photo of Klaralund. This is either the front or the back; they are both knitted exactly the same. I started the other piece last night and hope to finish it up within the next few days. The colors in this photo are more blue on my monitor than they are in real life. I'm not stressing over matching the stripes. Silk Garden is what it is, and the color variations are a big part of why it's such a gorgeous yarn. I keep caressing my knitting, because this is turning out so soft. I know it will be even softer after washing. This is the second month in a row that I'm not going to be able to go to knit night. Sorry, bev. There's a soccer game this evening, and I have to do kid pick up. We're just going to have to get together at Starbucks or something. My KP Harmony needle tips have left the dreaded sortation center and should be delivered by September 22. Yay! I can't wait to try them out. 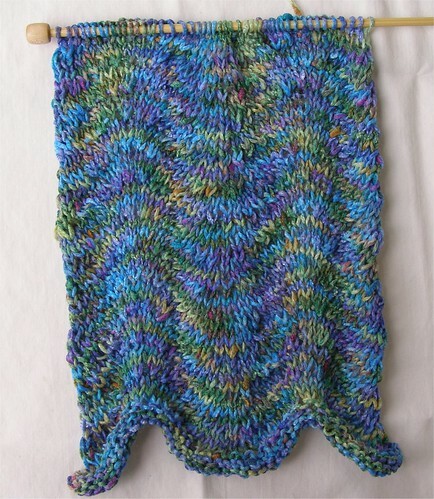 I hear the colors are not as vibrant on these needles as the KP website shows them. That's fine by me. I wasn't as put off by the bright colors as some folks seemed to be, but the more subdued photos I've seen on blogs are equally nice. Why is it that weekends seem to go by so fast? Just when you're getting used to relaxing, boom....there's Monday. I am all for 5 day weekends and 2 day work weeks. Of course, we'd still get paid the same. Who's with me? I've been wanting a small, comfortable chair for my office. I work from home and am frequently having to be on long conference calls, reviewing paperwork, etc. We went by the Salvation Army thrift store on Saturday, and I found the perfect little chair at a great price--$25. It's in good shape, too, but it needs to be cleaned. Here's my comfy corner in my office. I finished the front of my Klaralund last night. I ended up re-starting it on Saturday, because the size was too small. I'd rather have it a little large than too tight. The piece worked up quickly, so hopefully the back and sleeves will as well. I dread the sewing up, but oh well. My blocking wires finally came, and I'm pleased with them. The only down side to this transaction was that it took nearly a month to get the set; the only option is to mail in an order with check or money order, and the seller was not communicative about whether the order had been received or sent. I think, at the very least, an e-mail saying the item was shipped would have been nice. Husband was sweet enough to block my Swan Lake (aka MS 3) stole yesterday afternoon. It took an hour and a half with the wires, and I imagine just pinning would have taken even longer. I tried to get photos of the stole blocking, but the white yarn just blends right into the pale blue blocking board. I will say that the asymetrical version of the stole is IMO much more attractive than the symertrical stoles I've seen on line. 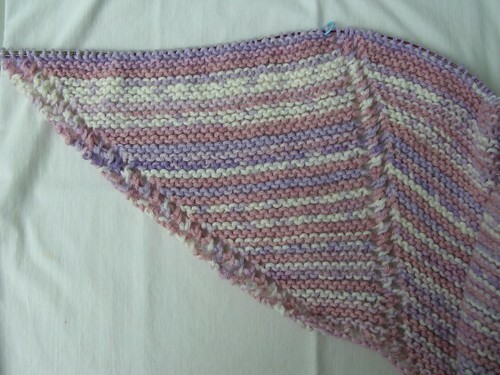 The wing is easily the most beautiful part of the stole. I managed to find the completed Point Lobos Hat and have a photo for you. 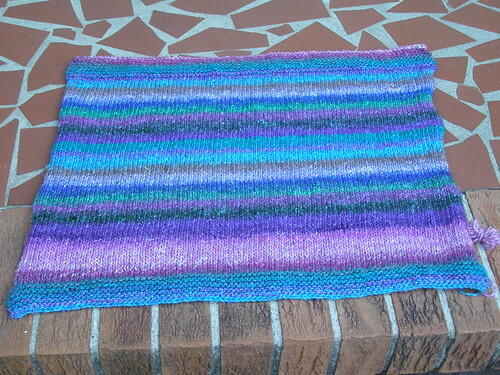 I used Noro Silk Garden in color 251. The hat was so easy to make, and so quick. This would make nice last minute gifts for Christmas, birthdays, etc. My normal way is to not have a lot of WIPs at one time. Something seems to have happened to me lately, though, because I have a ton of things going on! It seems I cannot stop casting on. Here's the Spiral Nebula shawl for my grandmother. This is supposed to be a Christmas gift. This Stormwater Scarf is for me. I got the Handmaiden Sea Silk in a swap. I think the color is Lily Pond or something like that. 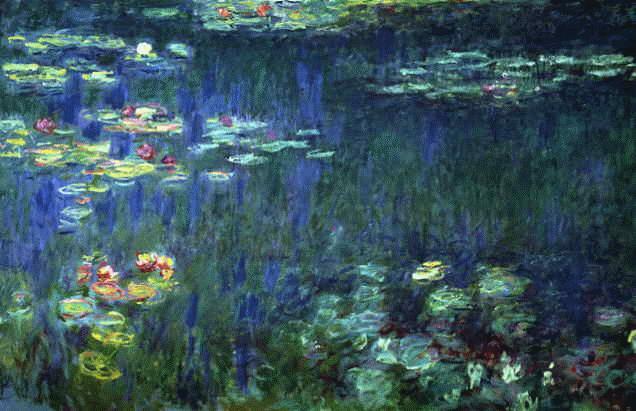 It makes me think of Monet and this painting. This Chevron scarf was intended to be a travel project for my business trip last week. The pattern is from Last Minute Knitted Gifts. This one makes a nice purse project because it is so easy. I love the colors, too. I cast on Diamond Fantasy by Sivia Harding just to get me through the lace withdrawals in between clues for MS 3. The yarn was a gift from my last Knitty SP, and I happen to have two more hanks in the same color--plenty for a nice shawl. Finally, I've caved and am attempting to make myself a SAFF sweater. I don't have time to spin my own yarn for this, and I've had a box of Silk Garden languishing for well over a year now. I give you Klaralund. The color is 232. I debated knitting the body in the round but opted to just follow the pattern this time. I also have a scarf still in need of fringe and blocking--that should be easy--a Cozy in progress for my brother's girlfriend for Christmas, and my MS 3/Swan Lake stole to block. I've been waiting FOREVER for blocking wires to arrive before attempting to block the stole. The vendor doesn't have on line order and she doesn't take Pay Pal, so this could be a long, drawn out wait. UGH. The wire set looks great, so I hope she'll either respond to my e-mail or the set will arrive soon. Have you seen these? I love my Options so much, but sometimes they can be a little slippery. When I spotted these new wooden needle tips, I had to order them. The colors are so fun! I know some people on line are complaining that the colors are too busy, but I just love them myself. I opted for free shipping on this order, so it could be a couple of weeks before the needles are here. A review will be posted once I get to try these tips. Work took me away from home Thursday through Sunday for a meeting. I really don't like having to be away from my family over a weekend, but it's not a common thing. 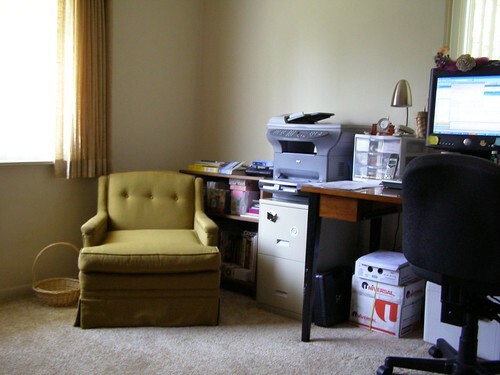 The benefit of not having to go to an office but being able to work from home the majority of the time is definitely worth the occassional inconveniences of traveling. It was nice to see friends, stay in a hotel, not have to clean up after myself, and not have to cook. I also managed a little knitting time during the trip. 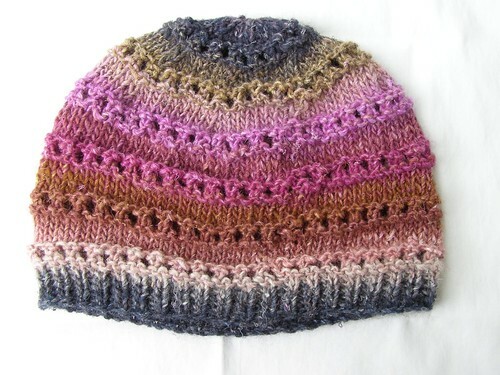 I finished a Point Lobos Hat using the pattern from What If Knits. 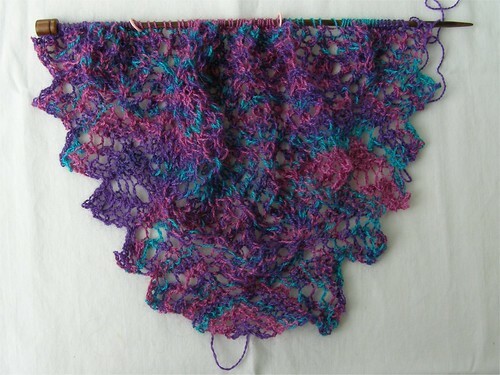 I used Noro Silk Garden. The hat worked up in just a few hours, and it looks great. Once I find where it went (somewhere in daughter's room), I'll post a photo. I am also working on a chevron scarf from Last Minute Knitted Gifts in Plymouth Yarns Ms. Jones. 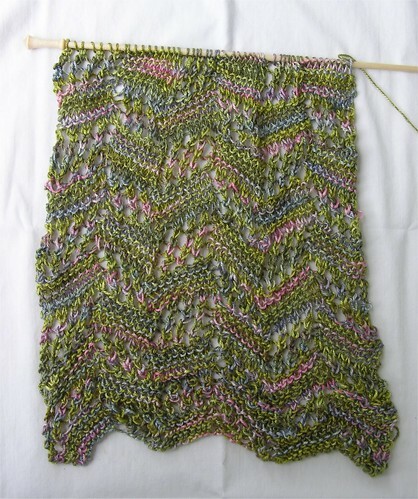 I tried several patterns for this yarn including Dream Swatch. 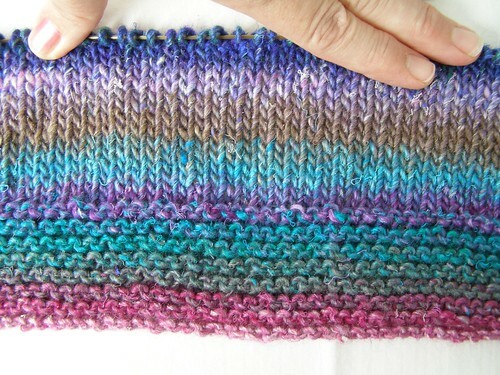 Dream Swatch is an awesome pattern, but this particular yarn wasn't suited for it at all. I think it's too slippery, because the elongated stitches looked really bad. I imagine that you'll be reviewing the bank accounts within the next day or so looking for fraud and all that. When you see that small charge to the UK, don't fear. That's a real one. You see, I had a moment of weakness yesterday. I got drawn in by the evil that is Etsy and before I knew it, I'd purchased this. Isn't it gorgeous? Don't you just want to reach out and squeeze it? Come on. You know you do. And look at those colors. Mmmm. The best part is that I actually saved money by buying this. The shipping was free. In spite of the weather and a wash out beach weekend, we enjoyed our long weekend. We came home early enough on Sunday to salvage part of the day in our own "habitat" rather than cooped up in our tiny beach place. We're looking forward to some tourist free fall beach weekends, so it's not all a loss. At least we are close enough to go down as often as we want, or as often as a busy teenager's schedule will allow. I made some knitting progress this weekend by starting in on the second ball of yarn for the Spiral Nebula shawl for Grandma. I also completed knitting a skull and cross bones illusion scarf that I'd started in January for daughter. I just need to weave in the ends and add some fringe and it's done. Normally, I'm not a fringe person, but I think that it adds something to these illusion scarves. It certainly made my brother's alien illusion scarf pop! Sometimes you go to the beach and it does this. All freaking weekend it rains....and rains....and rains. And you decide to go shopping and the roads are flooding....and the parking lot is flooding....and you wade in water up to your ankles because the parking lot is flooding....and you get drenched walking into the store even though you have an umbrella. But you end up finding a great new purse, so that's cool. Even a rainy weekend at the beach is better than NO weekend at the beach. And wouldn't you just know it. It's bright and sunny at home with not a drop of rain in site.